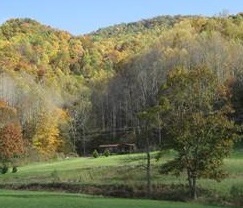 Chestnut Mountain Cabin is open year-round to allow you to enjoy the unique beauty of each of the seasons. This two-bedroom cabin can provide comfortable sleeping accommodations for up to five. Rent this dog-friendly western North Carolina mountain cabin by the day, week, or month. Ten minutes from the town of Mars Hill & Mars Hill University and 30 minutes from Asheville.